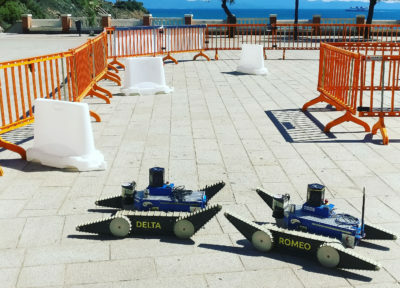 On September 17 2017, I was with the Alcor and TRADR teams in Piombino, for the European Robotics League event. 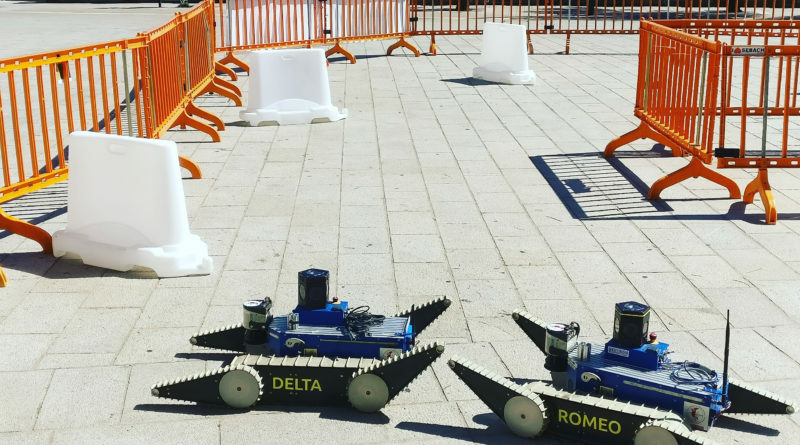 We gave a live demo with our robots Romeo and Delta. It was a great success and we showed how the robots can autonomously patrol an arena with fences and obstacles. 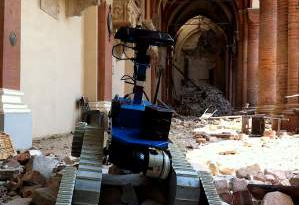 We were pleased to present the robots and describe how they are able to achieve autonomous navigation, mapping and patrolling in the crowded Piazza Bovio.